Ever get a bit overboard with a detail. Strapping detail was needed at Porte Cochere to appease inspector. 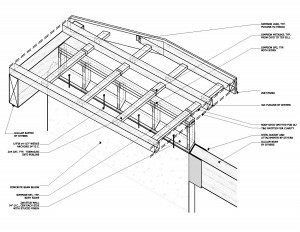 Building and Porte Cochere were designed to work independently and meet wind loads, but inspector was leery of overhang. 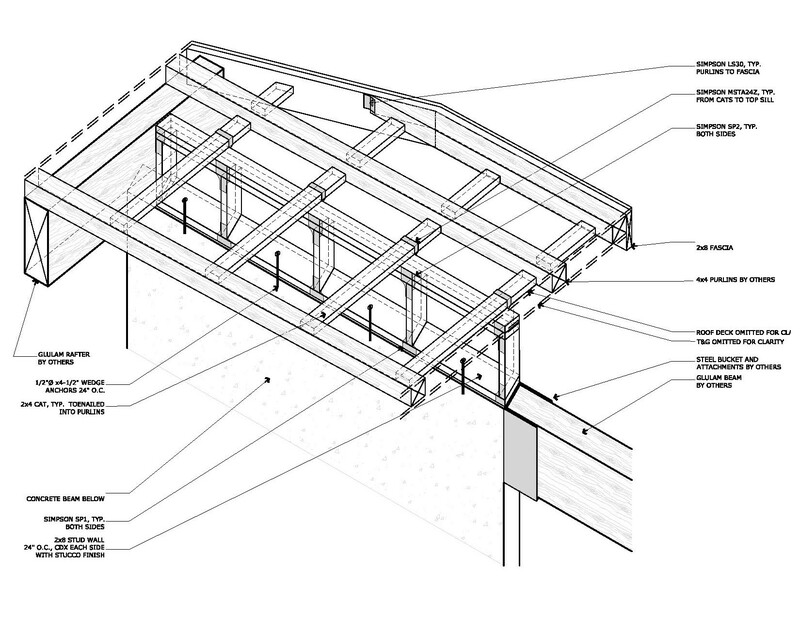 To get an out of state contractor off-site quicker it was agreed to bridge the gap and strap the roof to lower beam.